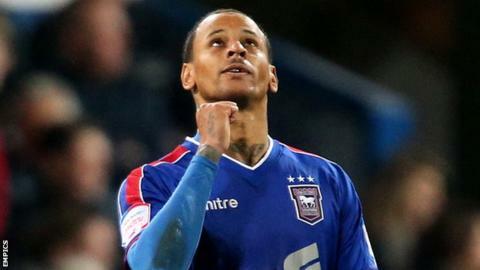 Hull City boss Steve Bruce says his club has opened transfer talks with Queens Park Rangers about DJ Campbell. "We're talking to QPR. that's all we are at the moment, talking to them," Bruce told BBC Radio Humberside. "We hope that we can try and resolve something next week if we possibly can and we'll see what develops." Bruce recruited Campbell from Brentford for £500,000 when he was in charge of Birmingham City in January 2006 before selling him to Leicester City for £1.6m in the summer of 2007. "I think the two chief executives are talking," Bruce continued. "Whether there's been a bid lodged just yet or not, I'm not quite sure where we're up to." Bruce said Hull could also sign a player from Egypt during the transfer window, but would not divulge any information about him. "Certainly there's an interest in one in particular, but that's it," he explained. "It's not advanced at all, and we're still not too sure. "The problem is work permits and there's all sorts of wrangles with that, but it's somebody I've been interested in for a little while, but that's all it is."